Pinstripe Suit is a fun yet sophisticated, high-energy six-piece vocal jazz ensemble. 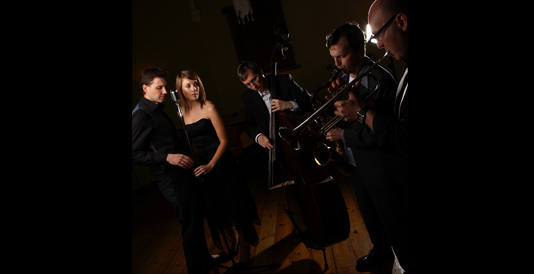 Specialising in swing and classic vocal jazz, the group also adds funky classics to their sets for function work. The six-piece band is run by one of London's top jazz pianist/vocalists ~ Robin Phillips, who arranges all the music for the group. Few bands can rival the ensemble's mix of classic vocal jazz with energetic upbeat swing and funk. Pinstripe Suit are also one of only a few bands dedicated to the exciting new music brought about in the 90's swing revival in the U.S.